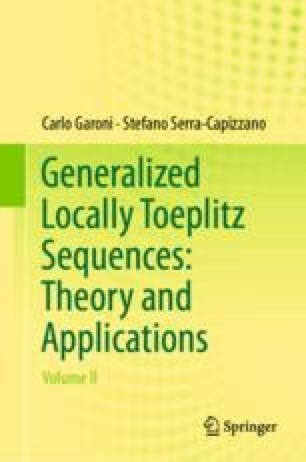 We conclude the theory of multilevel GLT sequences by providing a self-contained summary, which contains everything one needs to know in order to understand the applications presented in the next chapter. As mentioned in the preface, assuming the reader possesses the necessary prerequisites, a possible way of reading this book consists in first reading this chapter and the next one, and then coming back to fill the gaps, where “fill the gaps” essentially means “read the proofs of the results reported in this chapter”. The latter is substantially equivalent to reading the book. It is assumed that anyone who reads this summary is aware of the notation and terminology used throughout the book, which will be only partially repeated here for the sake of brevity. The reader can find both notation and terminology in Sect. 2.1 and/or in the index at the end.